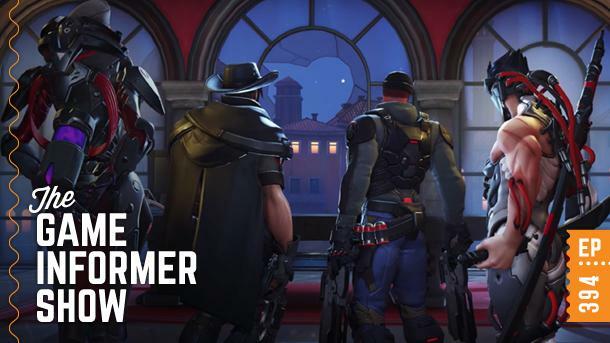 Welcome back to The Game Informer Show! On today's big show, we have Joe Juba and Andrew Reiner unleashing their full thoughts on the new God of War. Don't worry, they are very careful to not spoil anything. Then Dan Tack joins the podcast to talk about some new additions to Overwatch, World of WarCraft: Battle for Azeroth, and even Shroud of the Avatar! After some fun community emails, we compete in a brutally difficult round of Back of the Box trivia. Play along at home! You can watch the video below, subscribe and listen to the audio on iTunes or Google Play, or listen to episode 394 on SoundCloud. Also, be sure to send your questions to podcast@gameinformer.com for a chance to have them answered on the show and win a prize by becoming Email of the Week!